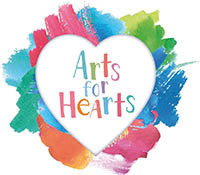 Clarksville, TN – On Thursday, September 6th, 2018, Arts for Hearts Clarksville, Montgomery County Parks and Recreation staff, and volunteers will setup the “Pillars of Hope” Honoring our Heroes through Art at the Downtown Commons, 215 Legions Street. The Pillars of Hope will be on display from 11:00am-7:00pm. The Pillars of Hope art exhibit is meant to be a memorial, a tribute and reminder of the service and sacrifice made by so many. Since 2012, more than 1400 tiles have been painted by elementary students, seniors and civic groups throughout Clarksville-Montgomery County. The two pillars represent the twin towers and stand 6 feet high and 4 feet wide. The exhibit will be on display for one day only, September 6th, 2018 from 11:00am- 7:00pm at the Downtown Commons. The following day, the exhibit will travel to Fort Campbell’s R.F. Sink Library where it will be on display through September 27th, 2018. 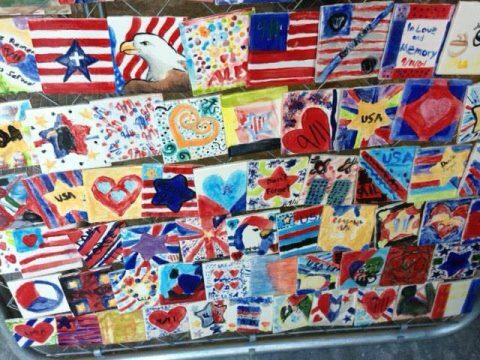 The community is also invited to participate in a commemorative tile painting event from 5:00pm-7:00 pm, September 6th at the Downtown Commons. The event is free and sponsored by F&M Bank and supported in part by Horsefeathers Pottery Studio. The tiles will be glazed and fired and added to the Pillars in 2019. 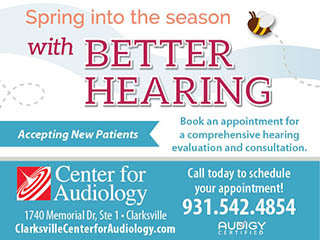 Arts for Hearts Clarksville is a program of the Clarksville Montgomery County Arts and Heritage Development Council.